Julia Fenwick became close with "lovely uncle Bernie" and his niece Shana in the eight years she worked as the office manager of the Madoff SecuritiesLondon office. But in the wake of her old boss's confession of a giant Ponzi scheme, their friendship has, it seems, unraveled: Not only did Berns neglect to pay her any severance, but not one person from America has even called to find out how she's doing (she's pregnant, poor, and pissed off, thank you very much). So Julia did the only thing she could: She sold the family down the river by giving a long, detailed interview to Britain's Daily Mail, one that presents as clear a picture of Madoff's personal spending habits as we've seen so far. After the jump, we break down how he spent $50 billion. 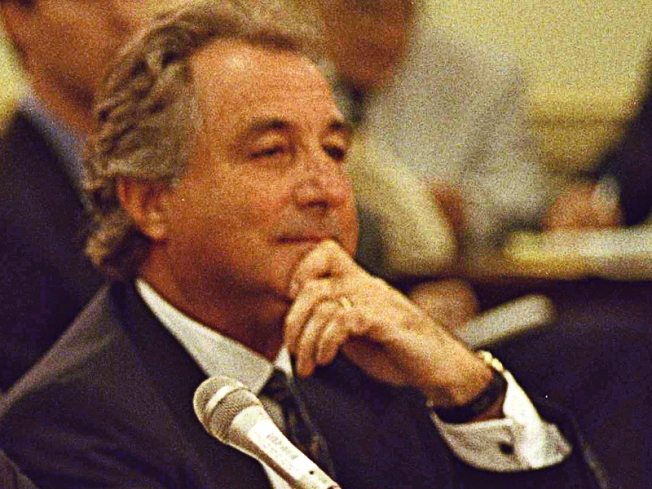 Foodstuffs: Madoff was a teetotaler, Fenwick says; he only ever drank Diet Coke (3.60 pounds per pint, or $5.23). But he had other vices. "Even though he is Jewish, he loves pork sausages &hellip; one of Madoff's favourite pastimes when visiting London was tucking into a fry-up" ($39 at Brown's on Abermarle Street). For lunch, he "always ate the same sandwiches &#8212; cream cheese, smoked salmon and cucumber on brown bread" (Marks & Spencer, $3.19). Clothing and Accessories: Madoff collected vintage watches ($2,900 to $72,000) mainly through vintage specialist George Somlo. He also bought wedding bands to match the color and design of each watch (cost unknown). During his two or three visits a year, Madoff would often take advantage of his office's proximity to Savile Row by asking his tailors, Kilgour, to see him in the boardroom (average of $6,000 per suit). Business Expenses: Madoff traveled in style. According to Fenwick, he purchased a black and gray Brazilian-built Embraer Regional Jet 145 last year, at a cost of 20 million pounds ($29 million). "There were sofas and beds behind curtains at the back of the plane," she said. "He'd installed a cappuccino machine and under all the seats were pockets full of biscuits and sweets. Bernie's initials were on the front of all the crockery." Once in London, Madoff liked to stay at the Lanesborough Hotel (up to $11,600 a night). The office was nice, too. According to Fenwick, Madoff refurbished it last year to the tune of 500,000 pounds ($726,000), including handmade desks and a new IT system, for 80,000 pounds ($116,000). In New York, she says, he also insisted on squaring off the interior of the elliptical Lipstick Building, "which is mad" (cost unknown). Miscellany: Madoff enjoyed Davidoff cigars (around $160 a box). His wife was apparently low-maintenance and enjoyed Boots No7 Protect and Perfect Beauty Serum, which retails around &pound;17 in London ($24, plus shipping and handling). "It was a key part of her beauty regime," Fenwick says. Partying: Last year, Fenwick attended a barbecue at Madoff's home in Montauk, an intimate affair with about 400 guests. "There was an oyster bar. And you'd dine on either lobster or fillet steak," she said. (At least $1 million, or the cost of Donald Trump's wedding.) Fenwick also went on a golfing trip with Madoff and a dozen of his friends for his 70th birthday, in Mexico, this past May. "We were all given hooded sweatshirts to mark the occasion. His initials and the year of his birth, 'BLM 1938' were stitched on to them" (custom hoodies, from $39.99, Caf&eacute; Press.) According to Fenwick, he "showed no sign of being under pressure as he lounged on the beach, singing along to his favorite Neil Diamond songs." But don't let your blood boil over all this, investors. The Best of Neil Diamond is only $8.49 on Amazon, so at least they were frugal about that. And Fenwick says she saw Bernie and Ruth haggling over the price of silver bangles with a street vendor. See, there's hope for recovery yet!